This year my insurers have sent through an “Agreed Value Request Form” asking many questions about the car etc. Has anyone else filled one of these in and does anyone have experience of it actually working, presumably in the event of a total write-off? 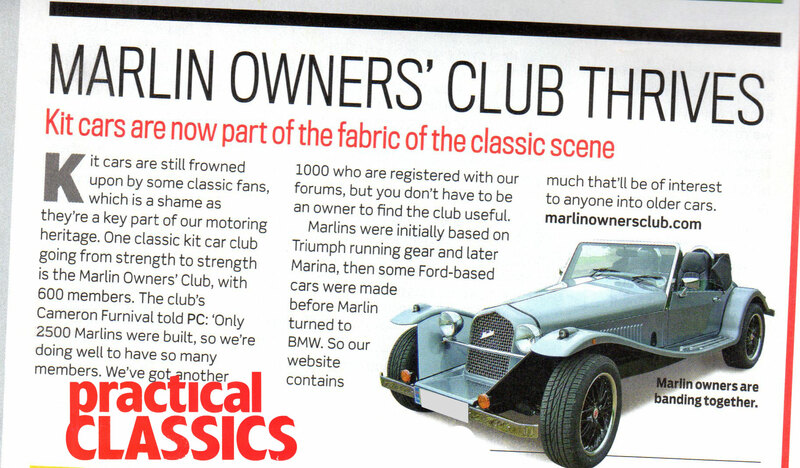 I think the MG Car club do a similar thing? "I thought Bump Steer was an American Rodeo term, until I discovered Marlin"
(2nd Owner of Marlin Hunter, chassis No. 157 (May 1998). Ford-based with 2.3ltr DOHC engine).